Business and education to the fore as collaboration resonates at Waste Expo Australia. The Waste Expo Australia conference and exhibition delivered record attendance with early reports indicating more than 4500 trade visitors, a growth of more than 28 per cent on the 2017 edition. Held in Melbourne last week, Lily D’Ambrosio, MP Minister for Energy, Environment and Climate Change opened the event, who reiterated the state’s commitment to reducing waste with the continued development of strategies and policies that will drive the state forward in the future. The morning’s first panel discussion “government and policy initiatives driving the waste management industry” heard investment and collaboration were key in the delivery of a resource efficient economy not only in Victoria but across Australia. 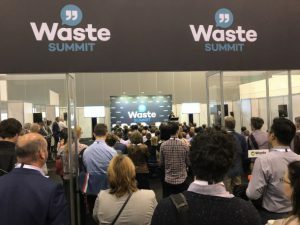 Integral to the success of Waste Expo Australia was the development of the Waste Summit conference covering four streams: landfill and transfer stations, collections, resource recovery and waste to energy. This structured program saw many sessions at standing room capacity with visitors having the ability to hear from leading speakers such as: Ian Campbell-Fraser, Department of Environment, Land, Water and Planning; Clete Elms, Cleanaway; Brooke Donnelly, Australian Packaging Covenant Organisation; Mike Ritchie, MRA Consulting; Daniel Tartak, Bingo Industries; Clint Aiken, City of Perth; Warren Overton, Australia and New Zealand Recycling Platform. 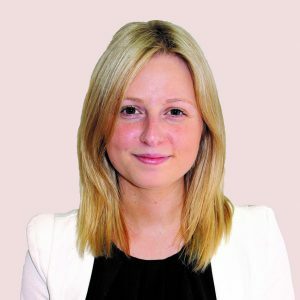 Cory McCarrick, exhibition manager at Reed Exhibitions Australia said the success of this year’s event shows the growing importance of the waste management, recycling and resource recovery industry. The exhibition aisles at Waste Expo Australia were busy throughout the two days with industry professionals eager to speak with the more than 80 companies showcasing the latest product innovations.